But America is not everything Nilda imagined. A terrifying experience in a lumber camp shakes Nilda’s confidence and trust in men, but a job helping a young widow raise her children and run her farm gives her a chance to build her own life. When she meets Fritz, the children’s schoolteacher, she is initially unimpressed and uninterested. 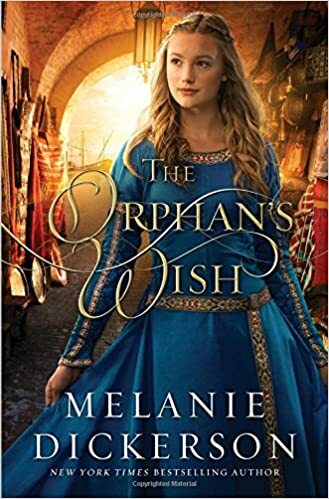 His kindness and passion for learning begin to win her over, but how can she sacrifice her dreams for the future for a man she’s still not sure of? 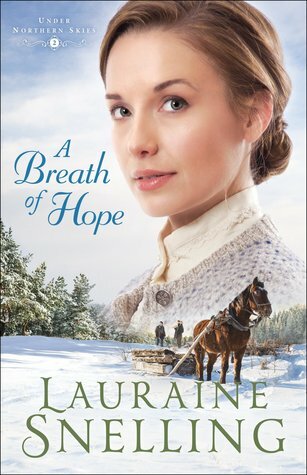 Book Two in the “Under Northern Skies” series, “A Breath of Hope” continues Signe and Rune’s story in America as well as Rune’s siblings, Nilda and Ivar, joining them from Norway. I was expecting this book to be more of Nilda’s story than anyone else’ but I was still quite pelased to find that we got to see more from Signe and Rune, and experience the story through their POV’s too. What I like about this series is that it portrays life as it was in that time period, and the trials and experiences they went through with a realistic view. And the names are always fantastic – I love the Norwegian background. It was fun that in this one, we get to see a little more of Norway in the beginning as Nilda and Ivar are saving to make their trip to America. This book was a little…lacking in a main plot line. It’s more of a continuation of every-day life from the first book, with not much climax. So, it could be a bit of a slow read, but I still enjoyed it. The characters were well-built up just like the first one, and the setting/descriptions were strong. There were a couple of “inconsistencies” where they would skip over something just mentioned, or didn’t revisit a “plot line” I thought they would. There was also a fair build up to something happening, but when it was revealed at the very end it wasn’t very monumental, if that makes sense. Review copy from the publishers through BookLook Bloggers. The story itself is a light, sweet read. While normally I don’t so much mind or notice when reading YA if it is below my age level, I admit that I found this one to be a bit simple for me. This isn’t really a bad thing, it just wasn’t as engaging as I was hoping. There were a lot of predictable and common troupes that I found a little over-done, but I think that partially had to do with the mood I was in while reading. The characters themselves were pretty well built-up. I personally couldn’t really connect, and sometimes felt that Aladdin had a bit of a ‘poor me’ spirit about him, when I wanted to see more of an overcomer sort of character. Besides the fact that the main character is named Aladdin and he has a little friend named Abu, and he was a street rat, there weren’t a whole lot of other related facts to it being an Aladdin retelling. Which was okay, just something I thought I would state. I really didn’t mind that it wasn’t much related to the original. And I must say, I do really like and appreciate that the author writes fairy-tale retellings without the magic. The faith strand was pretty good – it was present, but light. I wanted a bit more emphases to be made that God is the One we go to to be fulfilled instead of turning towards people, but that wasn’t really shown all that much. Hullo! Yesterday was the release day of the “Timeless Love” collection, of which “Enchanting Nicholette is apart! Did you pre-ordered Timeless Love? 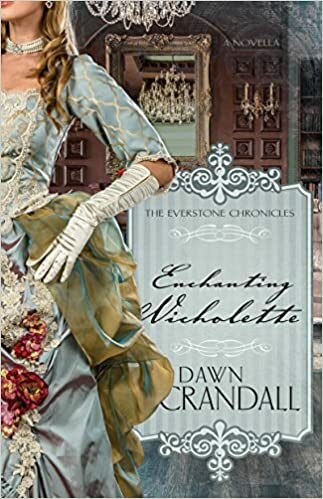 If so, you now have the pre-Whitaker House edition of Enchanting Nicholette in your hands to read and enjoy which is quite fun. :) And if you don’t, there’s still time to order your copy to your kindle right now! It’s only 99cents and all royalties go to the Livestrong Foundation. A sweet, enchanting (see what I did there? ;)) novella! Admittedly it took be a tiny bit to really get into the story, but I think that is mostly because I wasn’t entirely familiar with the characters; I’ve only read one book of Dawn Crandall’s (which I loved! ), and that was quite a while ago. However, once I kept reading, it all worked itself out and it can be read as a stand alone since it is Nichollete’s story. And Cal’s, of course. I loved Cal so much. He made such an excellent hero, and I fell in love with him immediately. I very much liked Nicholette but I didn’t really bond with her as much; not quite sure why. I certainly didn’t dislike her – that is far from it. She was a good character, and I felt for it, just didn’t deeply connect. I loved their relationship, though, and how it was all accomplished in a short amount of time. Of course, I would’ve loved a full-size novel from this story, but I just love full-sized novels. XD “Enchanting Nicholette” was written very well and didn’t feel like it was lacking anything at all. The kissing scenes got very heated though, which did make me a little uncomfortable, especially when they weren’t married… I don’t mind reading about a kiss here or there in fiction, because frankly there are few books that don’t contain kissing, but these scenes were a bit much in my opinion. But I know that is a personal-preference thing. Otherwise, I thoroughly enjoyed this novella and look forward to reading more of her books!! I received a complimentary ecopy of this book from the author/publisher. I was not required to write a positive review. All opinions expressed are mine alone. Today, I am supposed to share a devotional. And yet…I have nothing planned or prewritten out. I’m the kind of person that likes order and routine and schedules, and being prepared, so in general I try to have blog posts typed up at least several days in advance, but this month’s devotional has evaded me. Every time I tried to sit down and write it, nothing would come. Life has been extremely busy lately, with lots of running and time away from home. I feel like I haven’t learned anything monumental that I could share. And that disappoints me. It feels like I’ve failed. I know that it’s not true. When I first prayed about starting this blogging schedule, my concern was on missing a post, and the Lord has to remind me – would that be the end of the world? In the grand scheme of things, a missed post is not much of a problem at all. I just knew that I would feel badly, even if they were never read anyways – because I am a routine person, and if I say I’m going to do something, I want to follow through with that. Without making mistakes. But that is just not possible sometimes. We will make mistakes, we will miss things that we said we’d do. Not out of malicious intent, but because it happens. I’m still learning to give myself more grace especially in this area. I think – no, I know – that it is one of the reasons I am hesitant to talk about my writing publicly. Because I feel that if I start talking about it, or even talking about a possible release date in the far future, I will absolutely have to follow through with that, and I know that I can’t right now. And in some ways it is good to not promise what we know we can’t follow through with, but sometimes we do need to give ourselves room to dream, speculate, and grow. To hope. And leave the results in God’s hands. But yes, sometimes – a lot of times – life will not go how we plan it, and it’s during those times especially that we have to hold on to the One who has everything in His hand. We have to follow His leading even when it brings us to places we didn’t think we’d go. We learn so many little things on these journeys. Maybe they don’t seem monumental at the time of learning them, but when we look back, we realize the little things He’s been growing us in all along. So no, I don’t have a proper devotional to post today. All I have are these few meager words. And that’s okay. Because…grace. His grace is sufficient for me.